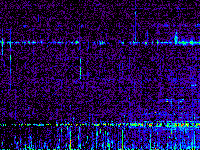 The frequency range is typically 20 (bottom) to almost 70 MHz (top of each panel). 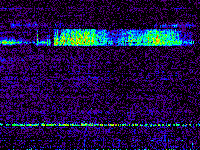 These data have had narrowband interference as well as background subtraction performed, so the galactic background at low frequencies is no longer present but residuals of the broad band of interference at 20-24 MHz are usually prominent. 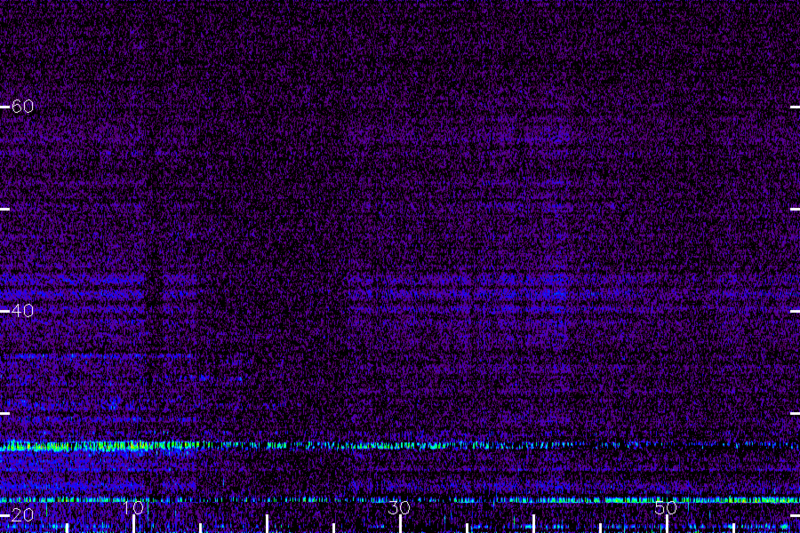 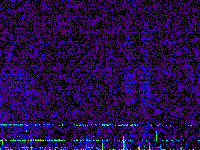 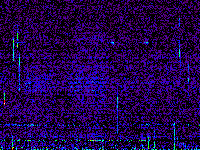 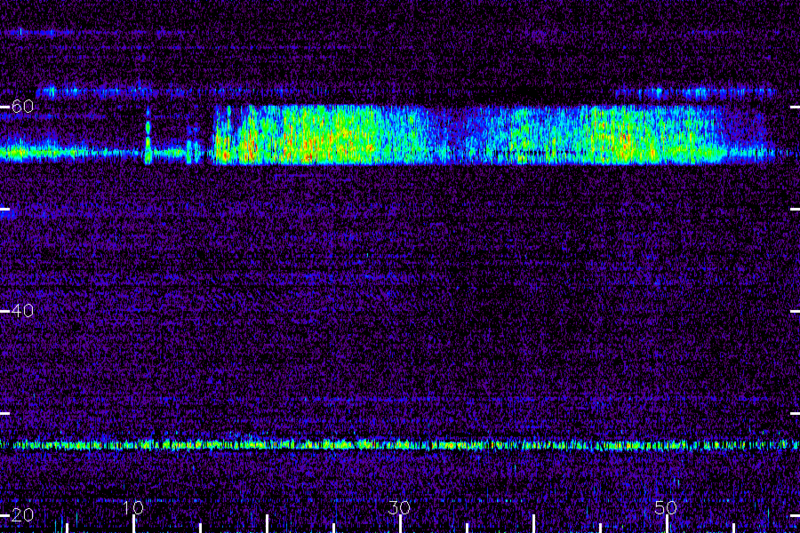 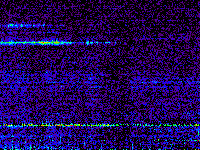 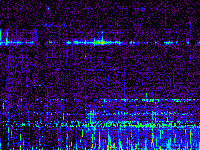 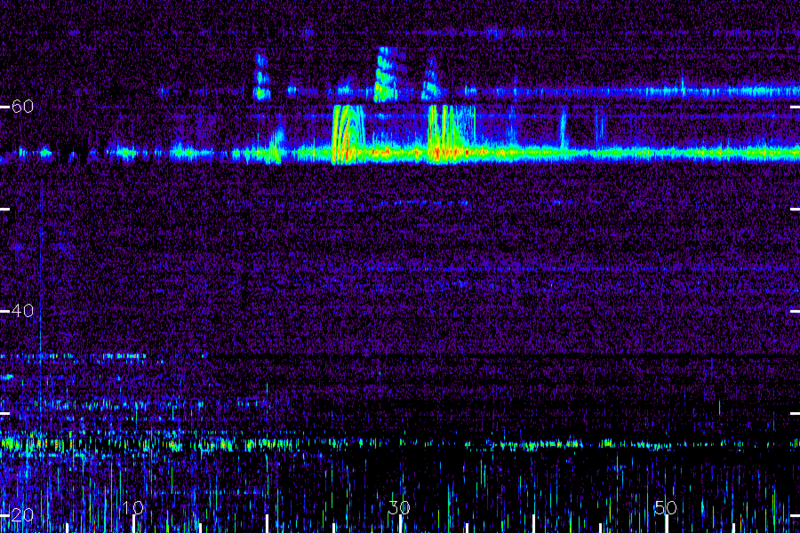 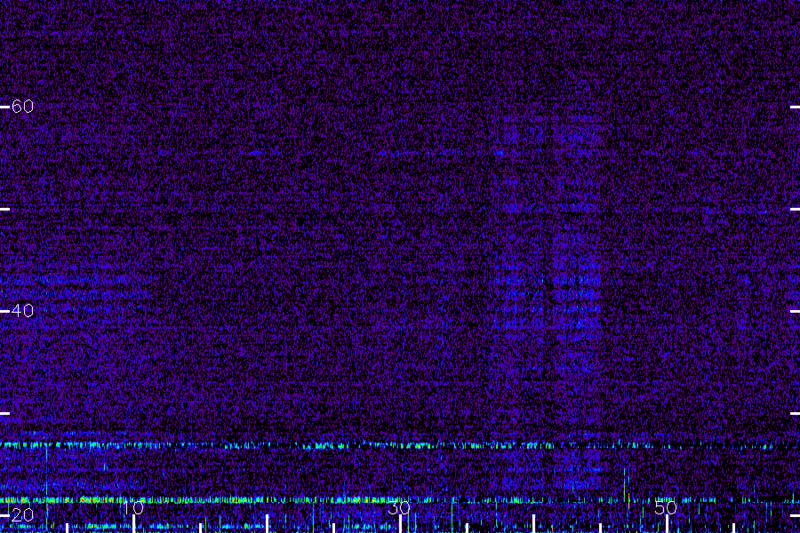 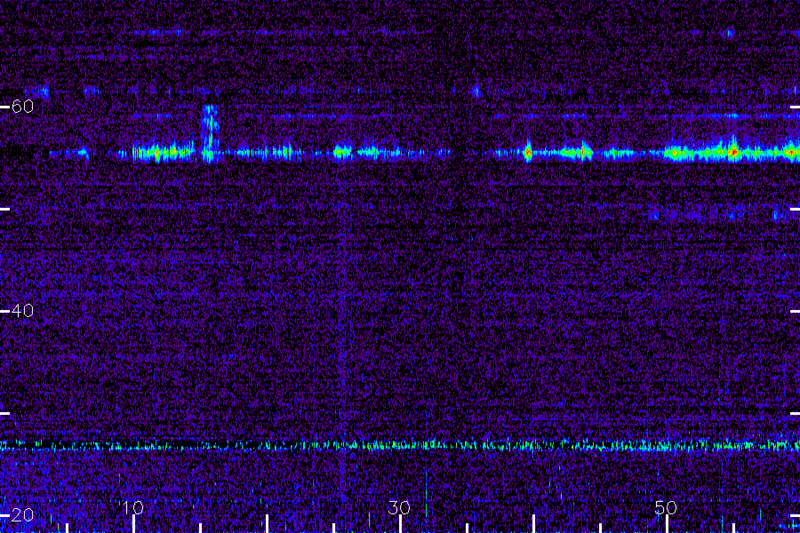 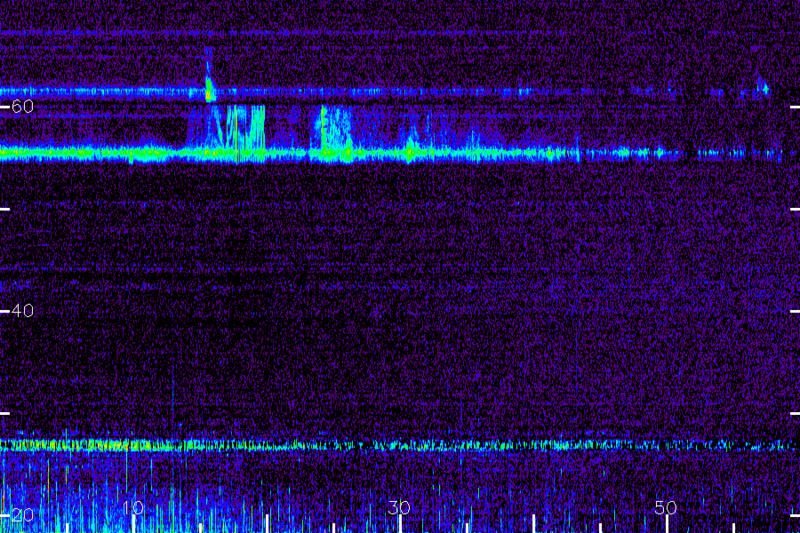 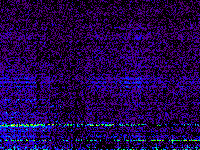 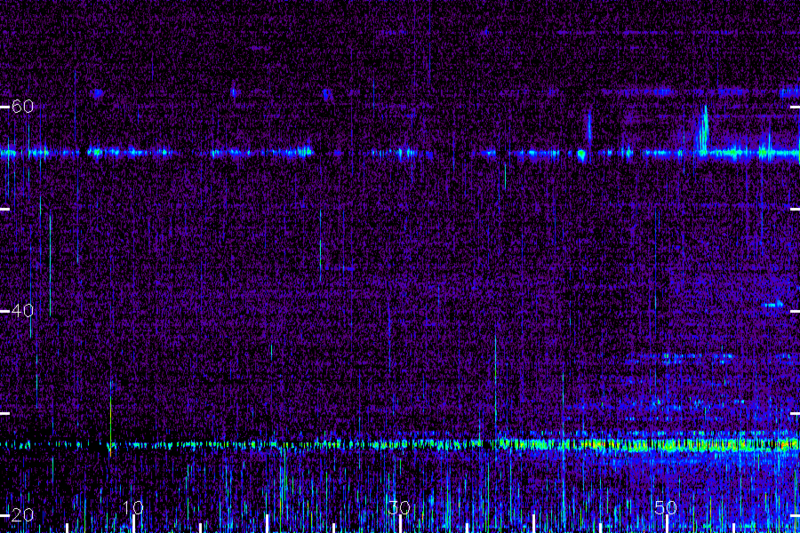 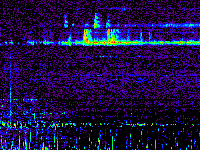 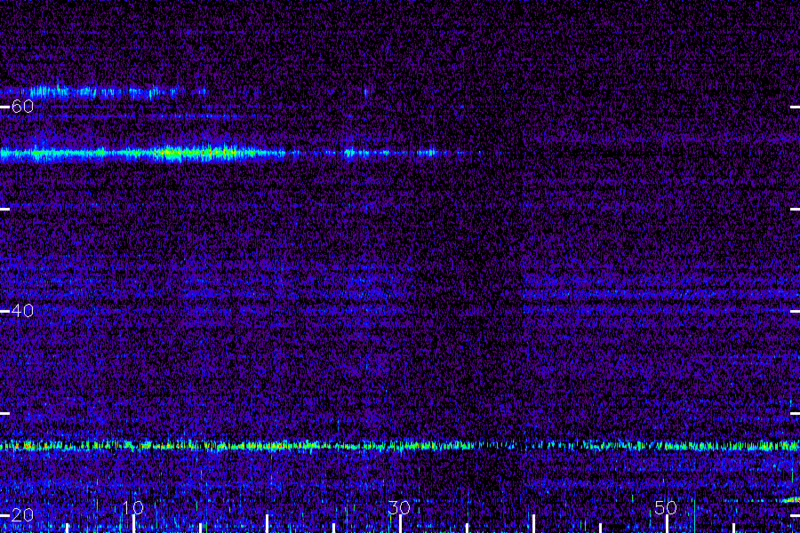 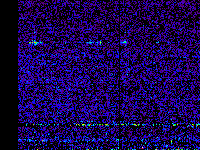 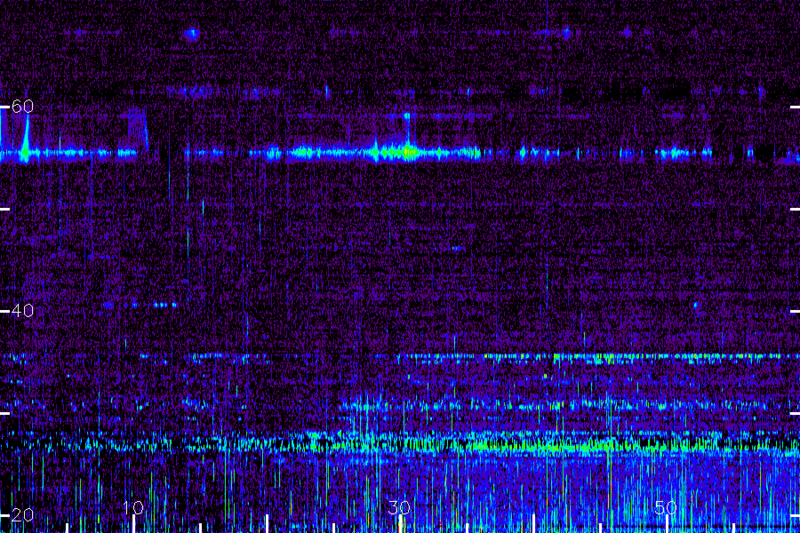 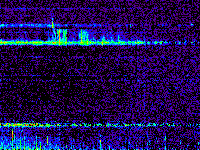 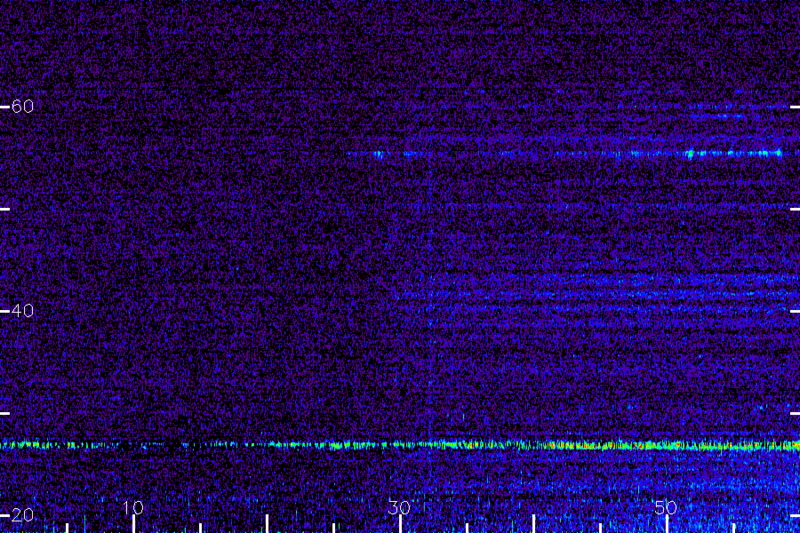 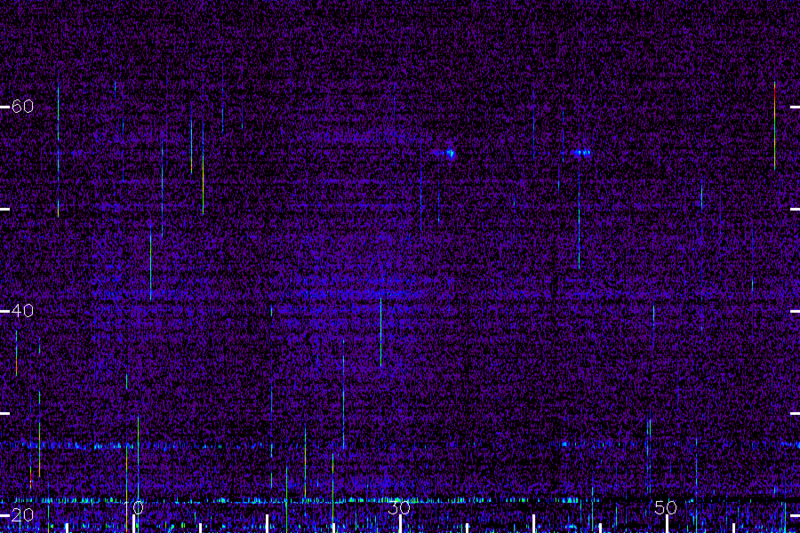 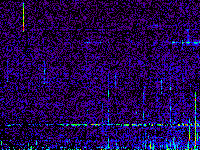 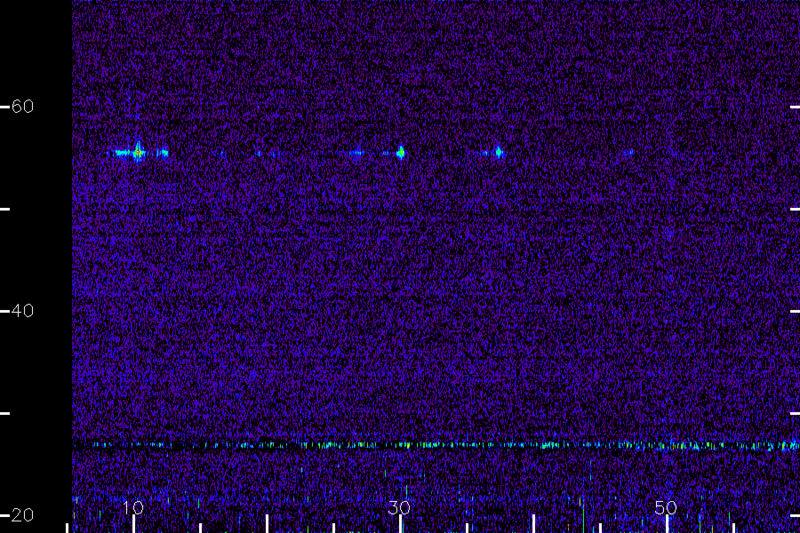 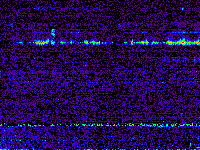 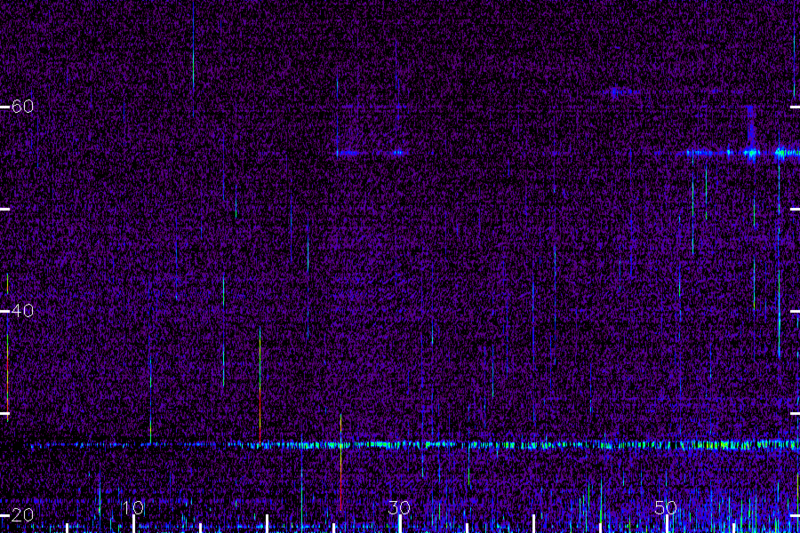 Artefacts may include lightning (shows up as finite--width vertical lines) and broadband TV signals around 50 MHz reflected from sporadic E-layer ionization in the ionosphere (Green Bank is the best/worst place in North America for this phenomenon). 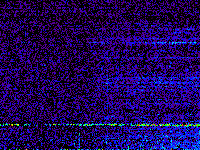 On days of prominent long-lasting broadband emission subtraction is carried out using an earlier "clean" day and some artefacts may result.